Kibra MP Ken Okoth has warned those opposed to the National Youth Programme ongoing in Kibra to stop politics of anti-development. Hon Okoth supported the national government initiatives in the slum constituency, saying Kibra people are ‘too smart to reject development’. Kibra is increasingly becoming an active political volcano and Okoth is rightly alarmed, that’s if he intends to defend his seat in 2017. The jubilee government has launched several programmes in Kibra, with both the President, First Lady and Devolution Cabinet Secretary all touring the lowly constituency in one initiative or the other. Through Waiguru, whose docket is directly under the office of the President, the national youth service has launched sanitation programme in the constituency. On September 19, President Uhuru visited Kibera slums Â launching the clean up programme. While those on the ground dispute these figures, the President said over 3000 NYS youths had been deployed to clean the slums by helping clear garbage and open blocked sewers to improve drainage. Okoth yesterday claimed the NYS programme has employed over 4000 youths from the area. However, records of those who were picked from Kibra to join NYS show the slum constituency has less than 20 slots. It is therefore unclear how the 3000 (President’s figure) and the 4000 (Hon. Okoth’s figure) Kibra youths were procured. This doesn’t however mean the two leaders are lying, if anything, they hold the elective dockets of Kibra, one as President and the other as the local Member of Parliament. Okoth says he is pushing for the three month NYS contract to be extended for one year. President Uhuru on the other hand revealed part of the salaries for the Kibra NYS youths (if at all they exist) will be channelled into a savings fund. Okoth’s rivals, especially Nairobi Management consultant Eliud Owalo who was a former campaign aide to CORD Leader Raila Odinga however blasts the clean up programme as unhelpful for Kibra residents considering the less talked about “Waiguru toilets” – a project to have toilets in designated areas in the constituency. Â Owalo shares in the concerns of the residents who say at the end, Waiguru would have just deteriorated the slum sanitation crisis, rather than solve it. Residents claim the toilets cannot solve the open defecation problem in Kibra because they will become hotspots for rapists and other slum criminals. In a slum that power is rationed and sometimes residents go for days without it, women particularly have raised concerns about being exposed to rapists and child molesters. Waiguru and Okoth, residents say, do not understand the socio-security dynamics of living in slums. First, gates to most plots are closed before 9pm, if late 10pm. Already, an order has been given to residents to pull down the ‘in the plot’ toilets to give prominence and priority to Waiguru toilets. The problem is, Waiguru toilets are few, far and in secluded areas. Residents now say Waiguru will only succeed in bringing back ‘flying toilets’ as people will most likely resort to the use of polythene bags which former MP Raila Odinga had significantly reduced their use by the ‘in the plot’ toilets. The other problem with Waiguru toilets is that no one will be bothered to clean them up. As with many such toilets which have failed in Kibra, the lack of ownership of the initiatives often make them neglected after being filled up with human waste – they turn into haphazard eyesore! Even sad is the fact that residents will pay to use Waiguru toilets which has made many people to question how they fit into ‘development’ for the poor slum dwellers, many who already pay exorbitant rents to the slumlords. For Hon. 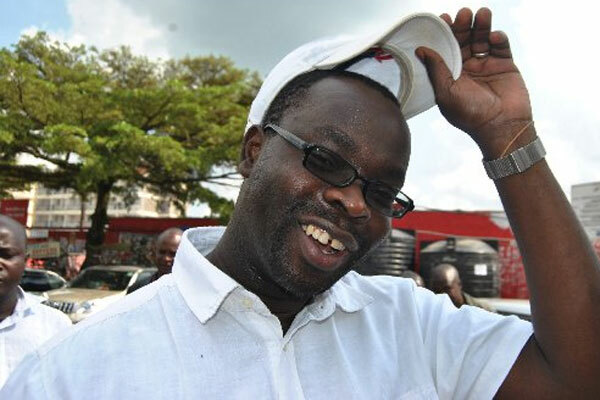 Ken Okoth, may be the decision to come out fighting has more to do with the fast-changing politics of Kibra which is attracting more contestants each day, including Mama Ida Odinga’s son, Fidel.